This week is Computer Science Education Week. Tynker is a free web app that teaches how to program. It is similar in appearance to Scratch and includes lesson plans and curriculum, classroom management tools, and examples of student work. It is self paced and allows students to work on their own. 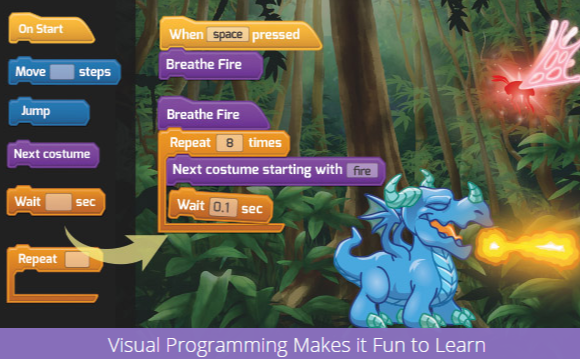 Students can use Tynker to create web apps, games, model science projects, do graphics and much more. In addition to being a web app, there are also tablet apps for iOS and Android.